There’s nothing like feeling the hair on the back of your neck stand as you anticipate that perfect moment for a stunt. You’re so deep in the moment that your body is ready but your mind begs you to reconsider. It’s this same feeling that Mountain Dew’s philosophy Do It, Feel It, is all about. Mountain Dew is all about an extreme, fast-paced lifestyle and has always supported groups and individuals who share this same goal with the hope of encouraging them to pursue their passions. Mountain Dew is a one of a kind citrus beverage, the go-to drink for adrenaline junkies that need that extra refreshing kick to reach their goals whether it be in a music, games, or extreme sports. 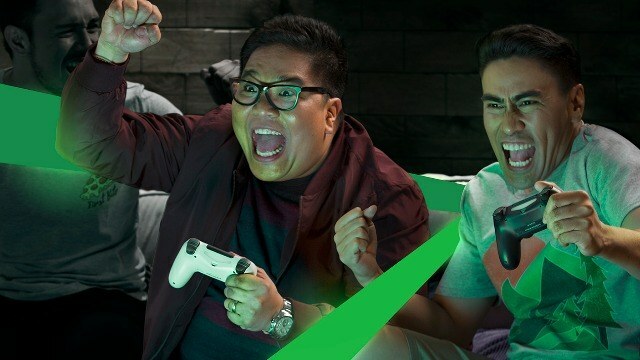 As such, Mountain Dew has partnered up with Jugs Jugueta, Ramon Bautista, Sam YG and Joyce Pring respectively as the newest ambassadors for these passion points. Joyce Pring juggles singing, sports, being a radio jock, and hosting both events and TV programs. Thanks to Mountain Dew, she can fuel herself to keep up with all these passions. However, just like Sam, Joyce also loves to get behind the wheel and race. The sheer adrenaline from the high speeds and sudden turns are usually enough to get your heart pumping but she’s already been conditioned to these after all their races. In order to keep their focus and avoid mistakes no matter how minor, Joyce and Sam down a bottle of Mountain Dew before every race to help them make the turns just in time while maintaining just the right amount of speed. In a sport as intense as racing, there is no room for errors and Mountain Dew keeps them focused enough to get to the finish line as fast and as safe as possible. Did you know that Jugs of The Itchyworms once made trending on Twitter? His fiancee (now wife) surprised him on his birthday during a noontime show shooting. That’s one moment that Jugs admits to inspire how he writes his songs. When performing, Jugs has a bottle of Mountain Dew between any given set because it refreshes him and supplies him with the energy needed to continue rocking out. He even keeps his mind alert during days spent composing songs. Music is a powerful passion that can synergize a musician’s emotions and energy with the crowd and doing so requires a lot of energy to get the crowd to ride along with your music’s vibe. Jugs also shares how each song has a lot of backstory and emotion put into it. Being able to share this passion with their audience in every performance gives them that kick of adrenaline as musicians and it inspires them to continue coming up with new content. Did you know Ramon Bautista actually considers staying up late a hobby? What better way to spend all that time awake than with video games and Mountain Dew! As an avid gamer, he always needs to be alert, ready to press the right buttons and make the right moves at the right time. Ramon says he’d give any trending MMORPG a try but he still continues to play computer shop classics. Ramon spends hours a day experimenting with alternative heroes and skill patterns to become the master gamer that he is. As such, Ramon keeps Mountain Dew by his side while playing for an exhilarating burst of refreshment. Its refreshing taste also keeps him up and ready to keep pushing for more rounds against any obstacle and opponent. Whether you’re into gaming, racing, playing for a crowd, or whatever gets the hairs on the back of your neck to stand up, Mountain Dew remains the perfect companion drink to help you attain that adrenaline rush because it doesn’t matter if you reach your goal, it’s all about the rush. Mountain Dew will be there for that rush every single time and will still be there when you attain that goal. Want a chance to meet the Dew Crew in person? We’re making it possible for you to hang with the entire crew and make some noise in Mountain Dew’s newest online competition, Dew Nation. Dew Nation challenges Dewds to post a video of the most hair-raising stunt or activity they can pull off. 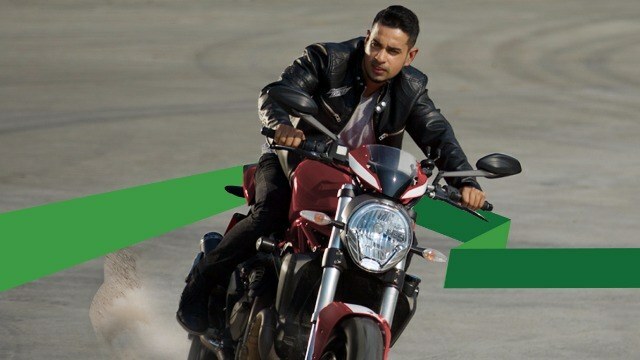 Just capture the moment of you pulling off insane stunts related to your passion as either a video or picture, use #DewNationPh in the caption and tag us @mountaindewph. Sam YG, Joyce Pring, Ramon Bautista, and Jugs Jugueta will join the winners for a day and share with them how they Do the Dew. To learn more about the promotion, its prizes, and watch other adrenaline-fueled entries, subscribe to Mountain Dew PH’s Facebook page now. This article is sponsored by Mountain Dew.